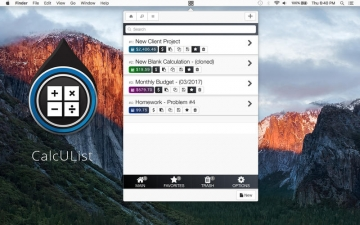 CalcUList- Awesome Math List Calculator | Mac App Storeのアプリ検索・ランキング BuzzMac! 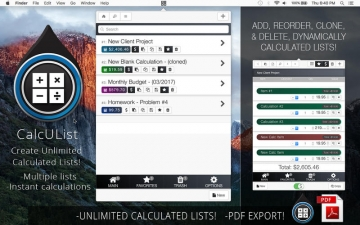 CalcUList is a simple app to make multiple lists of calculated items. 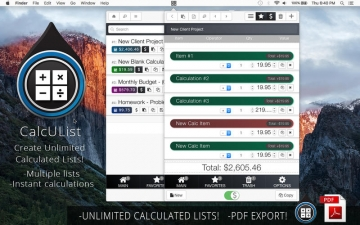 Reorder, clone, and delete items as the total is automatically calculated for you. Change the quantity, change the value, or the operator and watch the total change automatically. -Stays out of your way. -Delete and clone list items. -Quickly copy calculation text, to use in other apps.